Tuition Information: Undergraduate residents $9,622, nonresidents $34,952 for the 2012 – 2013 school year. Tuition does not include resident fees of $2,392 or nonresident fees of $3,074 per year. All Studio Art students at the University of Virginia must take foundation courses in drawing and art history. Students in the New Media concentration then focus on design and digital media software, digital media, experimental video, web-based media, imaging for print and animation and sound. All students must pass a junior year portfolio review and complete a new media studio. Merit and need-based scholarships are available. 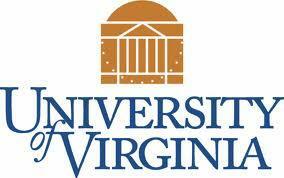 Virginia residents may apply for Virginia Tuition Assistance Grants. Residents of the District of Columbia may apply for DC Tuition Assistance Grants. Students may apply for the Aunsbaugh 5th Year Fellowship, which pays for a year of research and studio work.